The Sony Bravia KDL-46V2500 is one of the several models introduced by Sony that has a native 1920 x 1080 full high-definition resolution panels and HDMI inputs with 1080p capability. The KDL-46V2500 is part of the Bravia V2500 series that features the BRAVIA Engine and Live Color Creation technologies. The Bravia KDL-46V2500 has a black bezel and features a space-saving design: the unit hides the speakers on the bottom of the set. Other features of the Sony Bravia KDL-46V2500 include a diital amplifier with SRS-TruSurround XT and BBE Digital Audio Enhancement technologies for high-quality sound, a PC input, two high-definition component, two S-video and two composite inputs. The Sony Bravia KDL-46V2500 range from $1909-$2500 and you can buy the KDL-46V2500 from nine different stores at Shopping.com. 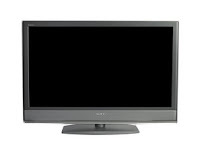 Shopping.com also carries other sizes and models of the Sony Bravia line.